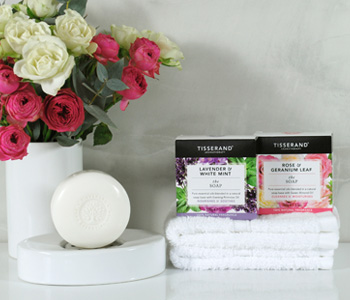 Treat yourself to the aromatheraputic powers of the Tisserand Soaps collection. Wash away the skin's impurities with these vegetable-based cleansers, which promise high quality deep cleansing and a gorgeous aroma. Detox the skin without stripping it of its natural oils, and infuse the dermis with the nourishment of organic and natural extracts.